Okay, so I have to admit that this challenge had me worried! I have never done a galaxy mani before and it looks so complicated! But with a good video tutorial and some patience, I don't mind how it turned out at all! I will admit, however that this was my second try. The first time I tried to be too "perfect" with my design and you just can't do that with this one. You have to let go and trust that it will turn out right in the end because as I was doing this I didn't think it looked very good. I pushed through anyway and when I was done and stepped back from the process, I was actually surprised that it really looked like a galaxy! Have you tried out this mani yet? You really should, it's fun and you'll be surprised at the cool results you'll end up with! Now go forth, check out the other challenge entries and try out this mani for yourself! Oh I love this! Great job! Wow - really pretty. I was exactly the same - I was convinced it looked a mess until right at the end! So pretty! I haven't tried this look because I too would try to make it too perfect lol! This turned out super pretty!!! I think is very galaxy like! and you chose the colours so well. 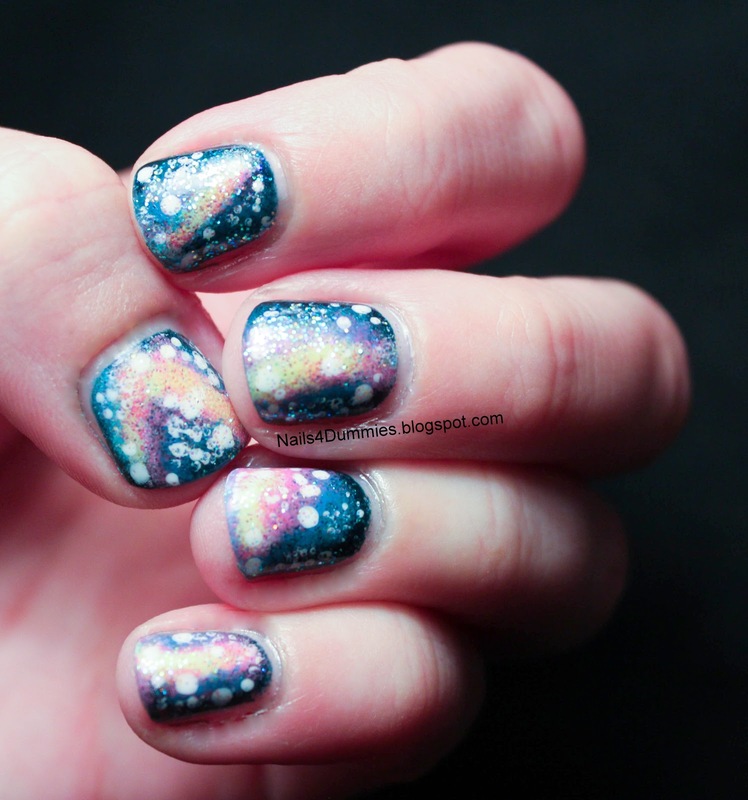 I've never done a galaxy mani, but is think yours is great!